After suggesting numerous tag cleanups on Meta, I'm wondering if for some of these, the current cleanup process might actually be a bad idea. I'm not referring to the collection of tags, themselves, which should be actively maintained. Rather, the aspect of modifying the assigned tags on old questions. As an example, cleaning up the database tag was one of my suggestions. It had almost 500 questions at the time, and the majority of the usage was as a redundant meta tag with another application-specific tag. There wasn't much voting on the question so I took a stab at a first pass cleanup of just those kinds of duplicates. By the time I got the question count under 400, I had a eureka. Why do this? Changing the tags on old questions will make no significant difference in anyone's ability to find those questions. In the case of a tag like [database], it also won't eliminate the need for the tag because there is some non-meta usage. So there is no apparent benefit to modifying the tags on hundreds of old questions. Dumping tons of questions into the active questions list just because their tags were changed doesn't serve much useful purpose, but it buries questions that are new or have been answered or edited in an important way. It hides them from the exposure and attention they would otherwise get. It also wastes people's time (besides the person doing the useless tag edits). I don't know how many times I've seen a question like an example today--somebody couldn't get their old printer to work with Linux. I took the time to find the link to the manufacturer's driver download and posted an answer. Then I noticed that it was an old question that has long since been overtaken by events. It was an obsolete printer so no one else is likely to benefit from the answer, either. The question was in the active questions list because somebody did tag cleanup on the manufacturer tag. This kind of thing happens all the time with tag cleanups and the automated Community stirring of the old questions pot (the majority of the random selections being ones that don't need or benefit from further attention). Don't modify tags on old questions unless it is a relatively small number of questions and doing so will allow elimination of a bad tag. Add definitions to ambiguous tags that will be retained. Most of the ambiguous tags are ambiguous because they are undefined. Deprecate the bad tags that can't be readily deleted due to heavy prior use. They can remain on old questions without the need to replace them with a better tag, just don't allow their continued use for new questions. Create a separate list for tag-only changes. They can be available for review if needed, but not overwhelm the active questions list. Based on the comments, there are two reasons for modifying the old tags. One is that the tags can't be actually closed, so there continues to be usage despite any warning placed in the wiki excerpt. There is not currently a 100% effective solution for that other than deleting the tag. Hopefully, the warning reduces the continued usage, and the ability to deprecate tags might be a valuable feature to pursue. In the meantime, stretching out the question cleanup and doing just a few at a time over a long period will reduce the negative impact. 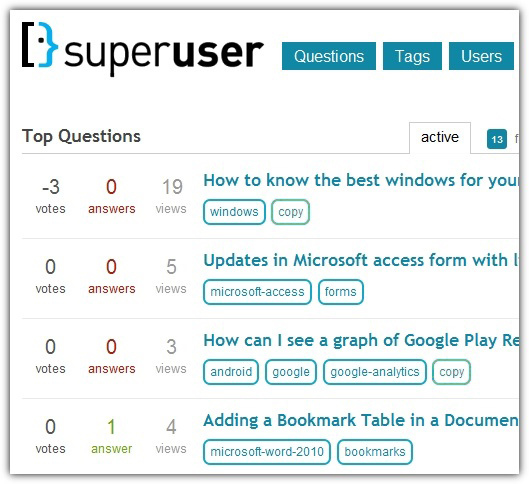 The second reason for modifying question tags is that it provides an opportunity to improve old questions or bring to the front ones that might benefit from a fresh look. Some, perhaps most, old questions are not good candidates for this. That includes ones that were closed for reasons that can't be fixed; ones that refer to obsolete or esoteric issues (useful to keep "just in case" but there isn't likely to be much further call for it); ones the already received a comprehensive, definitive answer or answers; etc. These questions don't need or benefit from cleanup, plus doing so has the negative effect of filling the active questions list and reducing exposure for other questions. Let me suggest an alternative for achieving the second benefit without the negative side effects. Look at the question but don't automatically change the tag. If the question will benefit from fresh eyes, clean up its tags and improve the question content if possible. Otherwise leave it alone, at least for now. That doesn't solve the problem of eliminating a bad tag, but that objective can be accomplished later when and if system improvements are made to eliminate the effects of tag changes on the active questions list. In the meantime, we can achieve one set of benefits benignly and it is a more effective use of peoples' time. You can't deprecate tags. We regularly put "DO NOT USE THIS TAG" into tag excerpts and, guess what, people use them anyway. Unless a tag is completely removed from the system, you can't prevent further use. I agree with you that it's annoying that the large number of edits pollutes certain areas of the site, but that's just how it is. I'm currently working through copy, which is still on 500+ questions and every day there is a new question in the list where someone just used the tag and it wasn't instantly removed. This is one of the key problems IMHO. We're cleaning up old crappy tags, but new ones are piled on top every day. But, regardless, the task at hand is cleaning up the tag system. It's a dirty job, but someone's got to do it. And if, in the process, we're dumping old questions on the front page, so be it. Let me explain: Too few users participate on meta and tag removals - including my own. I was just not aware that you want to remove copy, normalize, split and what the hell else. Tag-only edits are fine as it is. But they shouldn't bump the question to the front page. Removing the tag is good for the system - but why the bumbing? I see no benefit in this.